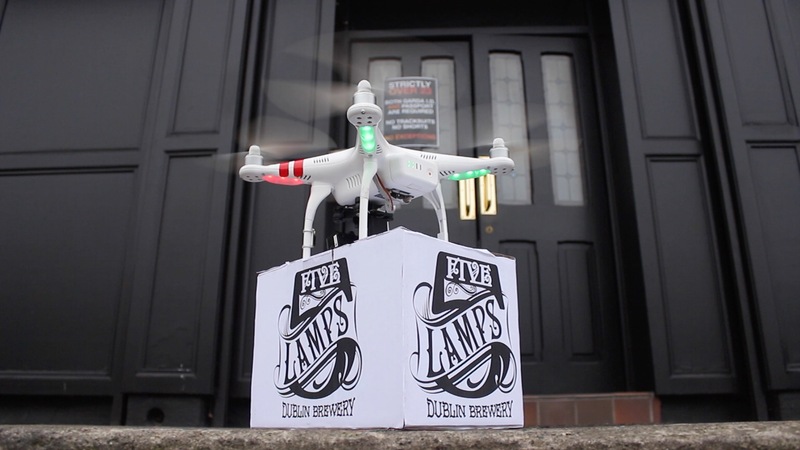 The first delivery of craft beer by drone has taken place in Dublin, Ireland this year. The 5 Lamps brewery in the heart of the Liberties have successfully delivered cases of 5 Lamps lager to Sheary’s pub in Crumlin in what is a world first. In a video launched today promoting the feat, the 2km trip was completed successfully and restocked the local Crumlin pub. The video was produced by Alan Clabby and James Davis of Little Big Flix, a Dublin video production company. Now that the test flights have proven successful, the pub and brewery are set to continue their partnership in bringing local beer to local people.